Samuel Adams said of our right to vote, “Let each citizen remember at the moment he is offering his vote that he is…executing one of the most solemn trusts in human society for which he is accountable to God and his country.” Indeed, one of the most consequential rights we have as citizens is to vote, and yet due to apathy or ignorance, all too few of us exercise that privilege. I would never be so presumptive as to tell someone how to vote. 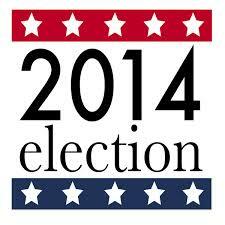 Each voter is different, has different priorities, and has different expectations of their elected officials. 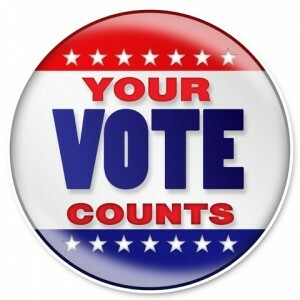 But because I’ve been inundated with requests for my voting rationale heading into next Tuesday’s election, I thought I’d answer everyone at the same time with a brief comment on some of the contested races on the ballot. The proposed Constitutional Amendment, HJR2 should pass. The executive branch should not be able to circumvent legislative intent by bureaucratic rulemaking. This is a safeguard to protect us. U.S. Senator Jim Risch has been a superb senator, and a voice of reason and forbearance in a body comprised mostly of puppets to the administration. He definitely should be retained. Second District Congressman Mike Simpson has a Freedomworks lifetime score of 61% on key issues of economic freedom, a stark contrast from the 80 percentile score of our U.S. Senators. We expect more from our congressman, but we certainly won’t get it by sending a congressman who would be beholden to Nancy Pelosi. Mike should be retained, but we need to be more interactive with his office on key issues. Governor Otter has had his setbacks, and some less than optimal decisions. Yet his convictions on free market principles, fiscal responsibility, maximizing state resources, and growing Idaho’s economy are unwavering. Even the threat of moving Idaho’s chief executive into the category of high taxes, onerous regulation, and fiscal irresponsibility represented by his primary opponent should be enough to discourage splintering the conservative vote with any of the third-party candidates. The governor should be reelected. 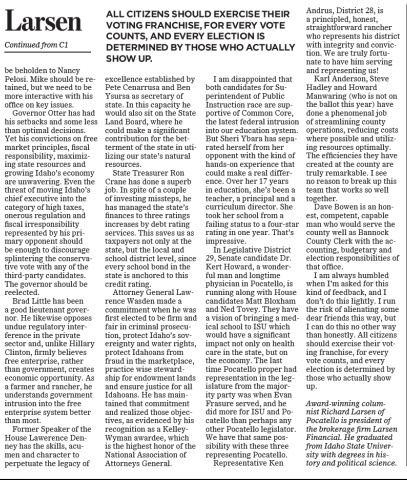 Brad Little has been a good Lieutenant Governor. He likewise opposes undue regulatory interference in the private sector, and, unlike Hillary Clinton, firmly believes free enterprise, rather than government, creates economic opportunity. As a farmer and rancher, he understands government intrusion into the free enterprise system better than most. Former Speaker of the House, Lawrence Denney has the skills, acumen, and character to perpetuate the legacy of excellence established by Pete Cenarrusa and Ben Ysursa as Secretary of State. In this capacity he would also sit on the State Land Board, where he could make a significant contribution for the betterment of the state in utilizing our state’s natural resources. State Treasurer Ron Crane has done a superb job. In spite of a couple of investing missteps, he has managed the state’s finances to three ratings increases by debt rating services. This saves us as taxpayers not only at the state, but the local and school district level, since every school bond in the state is anchored to this credit rating. Attorney General Lawrence Wasden made a commitment when he was first elected to be firm and fair in criminal prosecution, protect Idaho’s sovereignty and water rights, protect Idahoans from fraud in the marketplace, practice wise stewardship for endowment lands, and to ensure justice for all Idahoans. He has maintained that commitment, and realized those objectives, as evidenced by his recognition as a Kelley-Wyman awardee, which is the highest honor of the National Association of Attorneys General. I am disappointed that both candidates for Superintendent of Public Instruction race are supportive of Common Core, the latest federal intrusion into our education system. But Sheri Ybara has separated herself from her opponent with the kind of hands-on experience that could make a real difference. Over her 17 years in education, she’s been a teacher and a principal, and a curriculum director. She took her school from a failing status to a 4 star rating in one year. That’s impressive. In Legislative District 29, Senate candidate Dr. Kert Howard, a wonderful man, and longtime physician in Pocatello, is running along with House candidates Matt Bloxham and Ned Tovey. They have a vision of bringing a medical school to ISU which would have a significant impact not only on health care in the state, but on the economy. The last time Pocatello proper had representation in the legislature from the majority party was when Evan Frasure served, and he did more for ISU and Pocatello than perhaps any other Pocatello legislator. We have that same possibility with these three representing Pocatello. Representative Ken Andrus, District 28, is a principled, honest, straightforward rancher who represents his district with integrity and conviction. We are truly fortunate to have him serving and representing us! Dave Bowen is an honest, competent, capable man who would serve the county well as Bannock County Clerk with the accounting, budgetary, and election responsibilities of that office. Jared Stein worked for years in the Bannock County Assessor’s office and resigned when it wasn’t being run ethically. That speaks volumes regarding his integrity. He clearly knows how the assessor’s office should be run ethically and professionally. He’s eminently qualified to run the office and serve as a true full-time assessor. I am always humbled when I’m asked for this kind of feedback, and I don’t do this lightly. I run the risk of alienating some dear friends this way, but I can do this no other way than honestly. All citizens should exercise their voting franchise, for every vote counts, and every election is determined by those who actually show up!